Every night I had to take this boy in his astral body to the house of the Master, that instruction might be given him. The Lord Grautama employed it when He came to attain the Buddhahood, and the Lord Maitreya took the same course when He visited Palestine two thousand years ago. Therefore the Great Ones usually live in comparative seclusion, and appear but rarely in that cyclonic chaos which we call daily life. We have arrived at the realization in actual fact of the time-honoured formula : Thou art That. You would have a sense of expanding consciousness just as you would with the Master Morya. Before these people is set up the ideal of duty — dharma- — which is un- questionably the strong point of that religion. The Master has a large garden of His own. They consider simply and solely the work which has to be done, the work of evolution, and the value of the man in relation to it ; and if we will fit ourselves to take part in that, our progress will be rapid. This elemental is industriously occupied in modelling the form which is soon to be born in the outer world, and it remains after birth and continues that moulding process usually until the body is six or seven years old. The Greek word is oAon, which is the same as aeon in English ; and just as Christ said two thousand years ago that the dispensation of the Jewish law had come to an end, because He had come to found a new one, that of the Gospel, so will the era of the Gospel come to an end, when He returns and founds yet another. Wondrous beyond measure is our Holy Lord the Christ, wondrous beyond any power of description, for through Him flows the Love which comforts millions, and His is the Voice that speaks, as never man spake, the words of teaching that bring peace to angels and to men. So it would seem that They usually know great deal about us before we know anything about Them. To believe that there were such glorified Men seemed perfectly natural, and my only desire was to meet Them face to face. 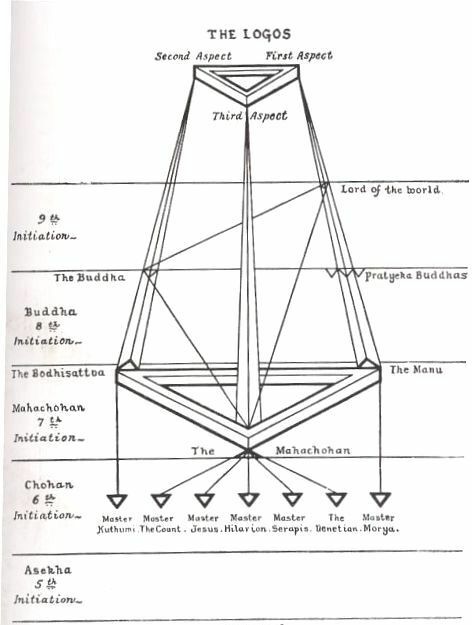 The possession of extended vision and other faculties resulting from the unfolding of our latent powers has also brought within our constant experience the fact that there are other orders of beings than the human, some of whom rank alongside the Adepts in a grade of existence higher than our own. His beard is pointed, as in some of the old pictures, and His eyes, of a wonderful violet, are like twin flowers, like stars, like deep and holy pools filled with the waters of everlasting peace. He is a landed proprietor, and during the visit which I paid to Him with Swami T. The prospective pupil would have to wait until he had rid himself of those vibrations. I arranged his notes as well as I could, and typed them all out. So if a man has a noble conception of God, it shows that there is much nobility in his own nature, even though he may not always live up to his ideal. Those who become pupils early in this life may well have been pupils for many years in a previous life, and the greatest privilege that we elder people can have is that we find ourselves associated with these young ones, for through them we can further the Lord' s work on earth by training them to do it more perfectly. Then it seemed to me that as these were mainly the Master' s words I had better make sure that there was no mistake in recording them. Step by step, sub-plane by sub-plane, the aspirant must win his way ; for even at that level exertion is still necessary if progress is to be made. While we know that in some of us there are failings, yet I do think there are at least some cases among us in which it is just the lack of that intense determination which holds us back. We have to feel with the Masters that sense of being colleagues engaged in a great work together. The questions were presented by Brother Lead­beater to the Master K. His face is somewhat hard to describe, for His expres- sion is ever changing as He smiles ; the nose is finely chiselled, and the eyes are large and of a wonderful liquid blue. An intuitional perception of one' s being the vehicle of the manifested Avalokiteshvara or Divine Atma Spirit ; 143. 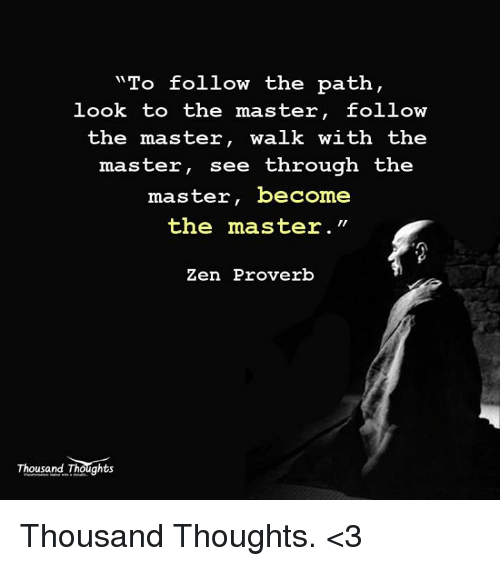 The Way to the Master. That is why a different method of dealing with this problem of propinquity is now offered to us. The Predecessors of the Buddha. 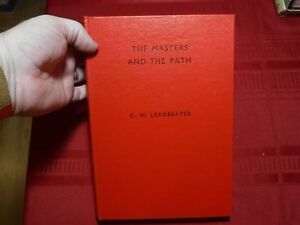 And yet the same Master, who spends His life in doing that work, will sometimes turn aside and pay personal attention to little details connected with one pupil. All of us possess some germ of all the different characteristics, but always they are but partially awakened, and one much more than another. Thus, for instance, during several meetings much time was spent in trying to understand the subject of root races and sub-races. Sentimental considerations have no place in occultism, which has been defined as the apotheosis of common sense, working always for the greatest good of the greatest number. 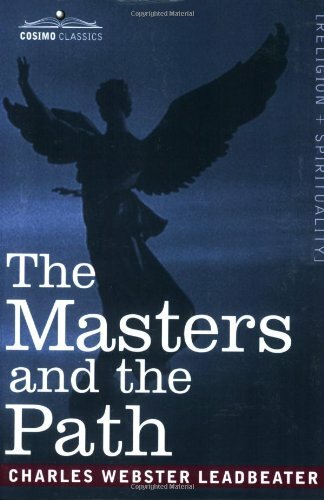 Devotion is a fine thing, but the Masters require a very great deal more. In the same way, if He wishes to impress our minds, He must draw round himself a mental body. Many of those who are coming into incarnation just now are highly evolved souls; it is precisely of such advanced egos that the great group of disciples who will stand around the World-Teacher must be constituted. It would seem that one Adept on each of the Rays is appointed to attend to the training of beginners, and all those who are coming along His particular Ray of evolution pass through His hands. Some slight, unpleasant, temporary feeling, which passes out of mind in ten minutes, perhaps, may yet produce an effect on the astral body lasting for forty-eight hours. He is certainly in connection with the body, but generally pays but little attention to it, preferring to wait until it has reached a stage where it is more responsive to his efforts. The Master Hilarion is a Greek and, except that He has a slightly aquiline nose, is of the ancient Greek type. It may be that in meditation they have seen His face, and later have had definite proof that He is a real being. We must be prepared to yield anything, to go anywhere — not as a test, but because the love of the work is the biggest thing in our lives. The disciple of the Master has to look round and see what there is to do which is within his power. A body thus made suitable for higher work is inevitably a sensitive one, and for that very reason it requires careful treatment, if it is to be always at its best. Since that is so, there may well be others who are very much further advanced; indeed, if men are steadily growing better and better through a long series of successive lives, tending towards a definite goal, there should certainly be some who have already reached that goal. If he is content to go along with his neighbours and be almost as they are-- perhaps a little better or somewhat worse than the average-- no one may give him a thought. As Arjuna in the Bhagavad-Qita is said to have seen the Divine Form, so have I seen, without the shadow of a doubt. The house of the Master Morya is on the opposite side of the valley but much lower down — quite close, in fact, to the little temple and the entrance to the caves. We no longer look ujpon a person or object, no matter with what degree of kindliness or sympathy ; we simply are that person or object, and we know him or it as we know the thought of our own brain or the move- ment of our owii hand. All coarseness or roughness of speech, all tendency to argumentativeness, must absolutely disappear; one who is prone to it should check himself when the impulse towards it arises; he should say little, and that always with delicacy and courtesy. The hair is black — almost blue-black — and wavy ; curiously, it is neither worn long according to Indian custom, nor shaved ofl altogether in the manner of Oriental monks, but is cut ofl just before it reaches the shoulders, parted in the centre and swept back from the forehead. He is the strong but silent man, speaking only when He has a definite object in view, to encourage, to help or to warn, yet He is wonderfully benevolent and full of a keen sense of humour-- humour always of a kindly order, used never to wound, but always to lighten the troubles of life. It seems to us a round-about connection; but it is much less so than we think down here, because of the amazingly close unity between the Great Ones on higher levels. There I have spoken among other things of the devastating effects of fear induced in children by roughness and cruelty ; but on that subject I should like to add here some mention of an experience which illustra- ted the unspeakably terrible results which some- times follow in its wake. This can be bypassed with the Can have multiple Crafted Mods mod. No pet animals are permitted and it is forbidden even to touch certain trees and plants.